According to ratings released Tuesday by Nielsen Media Research, Wilder’s vicious, first-round knockout of Stiverne drew a peak audience of 887,000 viewers Saturday night from Brooklyn’s Barclays Center. An average of 824,000 viewers tuned in for their brief bout, in which Wilder knocked down Stiverne three times before it was stopped with one second left in the first round. The Wilder-Stiverne rematch wasn’t considered a particularly appealing bout because Wilder defeated Stiverne convincingly in their first fight, a 12-rounder Wilder won by unanimous decision in January 2015. That longer fight, in which Wilder won the WBC heavyweight title from Stiverne at MGM Grand Garden Arena in Las Vegas, drew a peak audience of 1.34 million viewers and an average viewership of 1.24 million on Showtime. 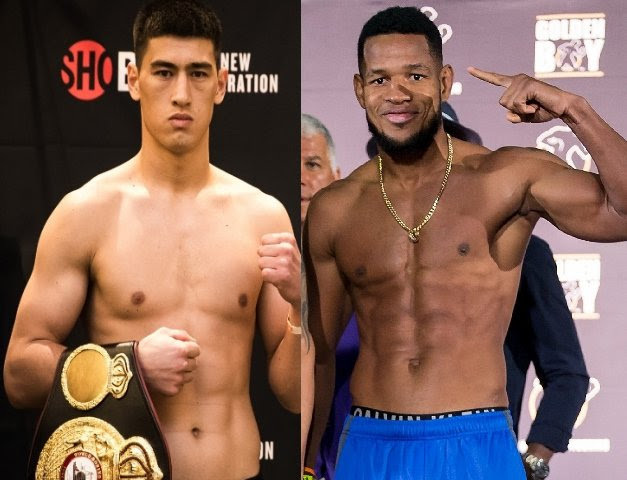 “Bone’s Buzz”: Bivol vs Barrera Next? Alexander Fades Late; Berto Takes the Win!